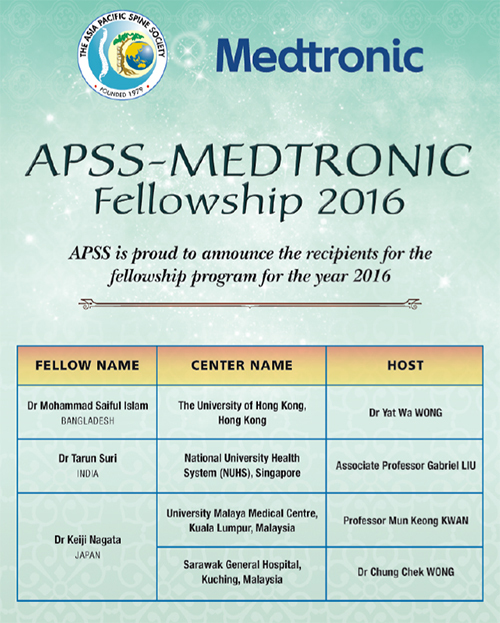 Three (3) to four (4) fellowships will be awarded. 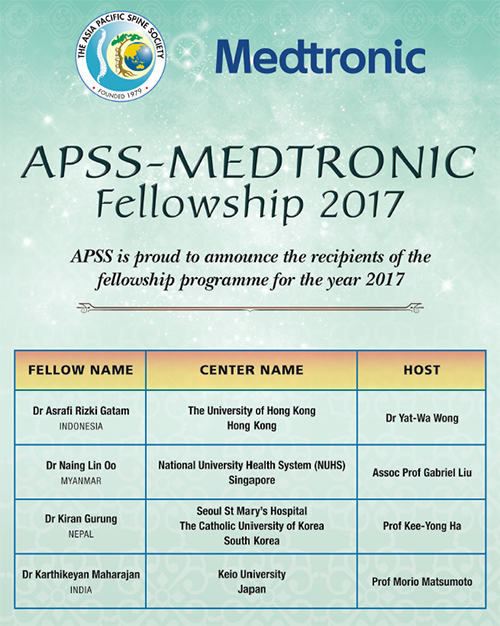 Each fellow will be attached and spend a duration of 3 months in a spine centre of excellence in the Asia Pacific Region. 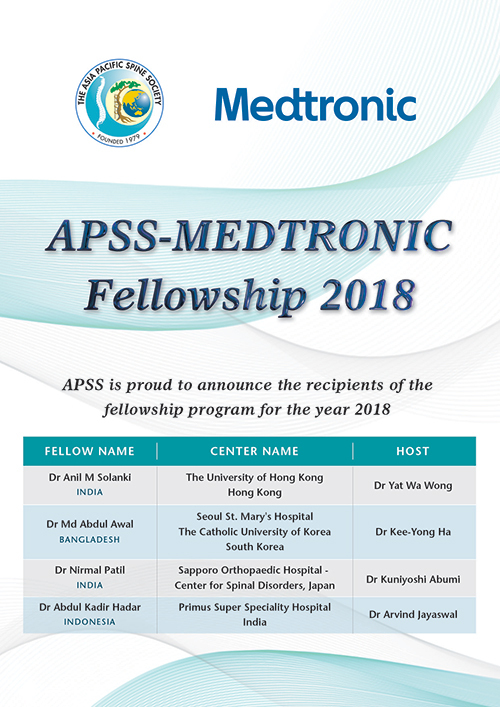 This is a unique opportunity for in depth learning from and close interaction with renowned spine surgeons in the Asia Pacific region.